St. Nikolai Velimirovich and Protopresbyter Thomas Hopko share more than their day of passing. St. Nikolai Velimirovich (1881-1956) and Protopresbyter Thomas Hopko (1939-2015) who fell sleep yesterday in some respects had very different lives. St. Nikolai of Serbia spent a large part of his life outside of his native land, travelling in various European nations and finally to America where he ended his days at St. Tikhon's Monastery. Fr. Thomas Hopko was born and lived his life in America. St. Nikolai was raised to the Episcopate and spend time in the German concentration camp of Dachau. From Thomas remained an honored priest and did not suffer external persecution and imprisonment. St. Nikolai primarily used the spoken word before audiences and congregation; Fr. Thomas also spoke to many in person but to countless more through podcasts on Ancient Faith, recordings and media interviews. Aside from their day of passing, however, they share many significant similarities. Both were concerned with equipping and motivating Orthodox laity to practice their Faith on a daily basis. St. Nikolai founded Bogomoljacki Pokret (Movement of God-Prayers). in Serbia in the 1920's to encourage prayer and Bible reading. Fr. 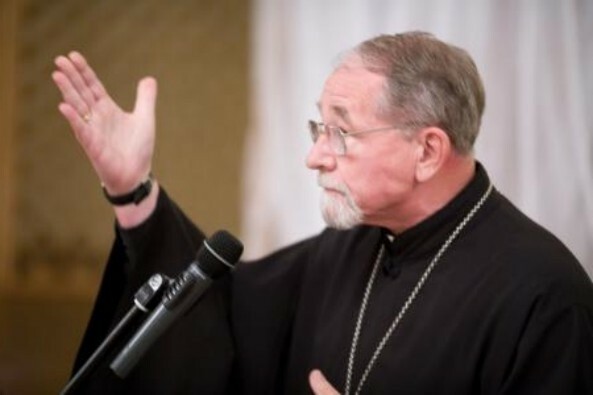 Thomas gave countless lectures and conferences around the country and world to promote a better understanding of Orthodoxy and it practice in daily life. Both men were authors of many works but two are of note: St. Nikolai's Prologue of Ohrid which serves as a concise but spiritually rich daily devotional for every Orthodox Christian. Fr. Thomas wrote the concise and widely used four-volume The Orthodox Faith: An Elementary Handbook on the Orthodox Church which provides a basic understand of the Faith for seekers as well as a practical summary of Orthodox beliefs and teachings for Orthodox who often forget the fullness of the Faith as time passes. St. Nikolai and Fr. Thomas were both professors (at SVS and STS respectively). 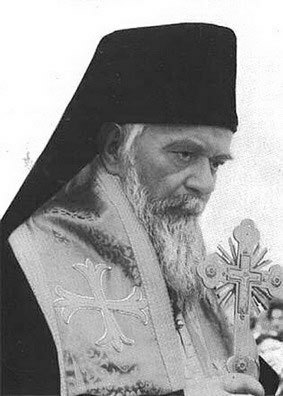 Both fostered Christian unity through Orthodox witness at gatherings of the non-Orthodox. Both fell asleep still very active in ministry: retirement was not an option. The Feastday of St. Patrick, the great evangelizer of Ireland, is followed by the day of passing of St. Nikolai and Fr. Thomas, What better reminder of the reality that the Lord will continue to provide evangelists for each era until He returns.